This recording begins with a story about how I went from hating the world of business to becoming a spiritual business coach, supporting individuals in a wide range of industries to awaken at work and create Conscious Business. 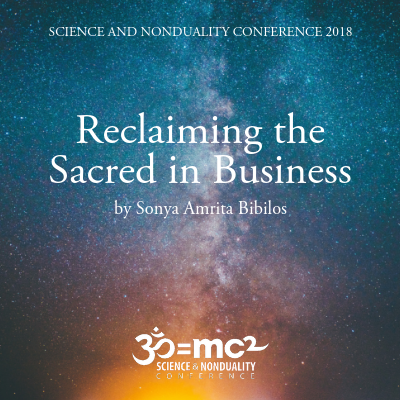 This 20-min recording is from my presentation at the 2018 Science and Nonduality Conference. 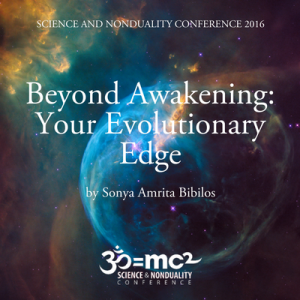 The Science and Nonduality Conference brings scientists and mystics together from all over the world to further the exploration of awakening, science, healing, and evolution. You can watch the slideshow video on my blog or sign up below to receive a downloadable .mp3 recording.